The Cass River Unit Trail is located in Bridgeport Township and is so close to I-75 that the interstate traffic is heard in the first half of the loop. The entire loop, including a short cross over spur totals only 1.5 miles and passes through the Cass River floodplain where there is little to no elevation gain. 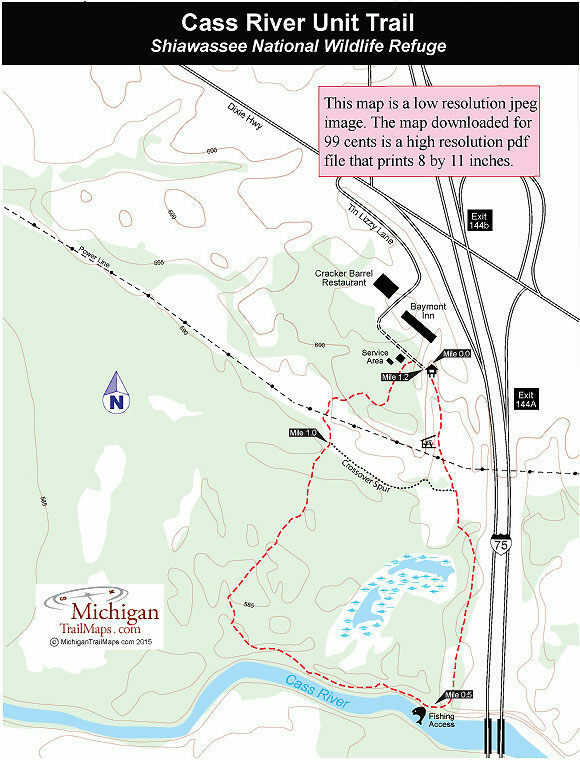 The trail is not the most appealing choice for hike considering what is available in the Shiawassee National Wildlife Refuge and elsewhere in Saginaw County. But it is amazing at times how much wildlife is seen in an area so close to a highway. 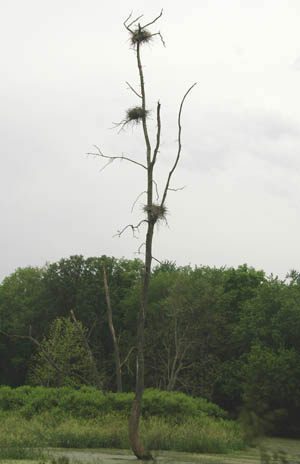 That includes whitetail deer and even a small heron rockery. Most of the trail is in the Cass River floodplain that can be too wet for hiking in spring and at times too bug-infested to be enjoyable in May and June. The trailhead is reached from exit 144 of I-75 by heading west on Dixie Highway briefly and then turning south (left) on Tin Lizzy Lane just past the Cracker Barrel Restaurant. Follow Tin Lizzy Lane as it swings past the restaurant and then Baymont Inn motel to a large sign marking the entrance of the refuge. The road ends in the trailhead parking lot.